Venture off the beaten track and explore the diverse Port Douglas region with Blue Adventures. 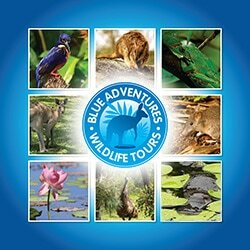 Our tours have an emphasis on seeing Australian wildlife and we spend time exploring World Heritage rainforest, cruising an outback wetland oasis and visiting a beautiful volcanic crater lake surrounded by lush forest - all areas rich in native Australian animals. 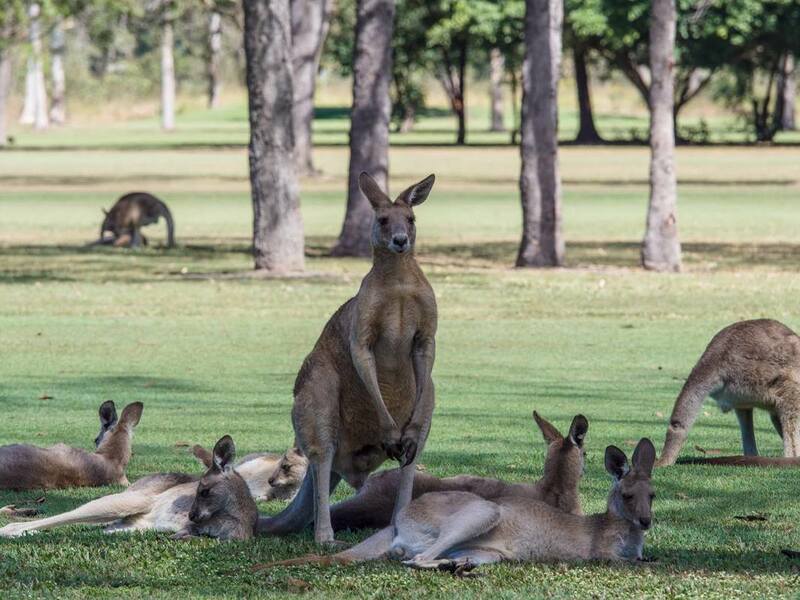 With a maximum of 6 guests, our small group trips are the perfect way to experience the diverse range of North Queensland landscapes and potentially see animals including kangaroos, emus, wallabies, endemic birds and, if we are lucky, the elusive platypus or rare Tree kangaroo. The day begins with a pickup from your accommodation and a leisurely drive from the coastal lowlands through lush jungle-clad slopes to the top of the Great Dividing Range and the beginning of the Atherton Tablelands. Our first stop of the day is at a private property set along a magnificent riverfront. This is a great place to see emus and, if you're lucky, there are often wallabies to be spotted too. For the birdwatchers the area is home to more than 220 bird species, including several Bower birds. Next, we will we head off to explore grasslands where we can see hundreds of Eastern Grey kangaroos. During the day these animals are found lazing in the shade of large trees and will let us get close enough for great photos. In addition to the kangaroos, we regularly see Frill Neck lizards, a variety of birds including bowerbirds, kites, curlews, kookaburras and more. By late morning it is time to leave the dry outback behind and explore north Queensland's famous World Heritage rainforest, the oldest continually surviving rainforest in the world! Before lunch we take a walk along Petersen creek which has a very healthy platypus population. We have a great success rate at seeing the platypus, regularly getting to watch them swimming and feeding in the creek. This is an animal most Australian's never get to see! You will enjoy a delicious restaurant lunch beside a breathtaking volcanic crater-lake. Whilst at the lake we take a boat cruise to explore the lake and fringing rainforest. On the cruise we see plenty of turtles, fish, eels, waterbirds and, if lucky, Amethystine python and Eastern water dragons basking in the warm sun. After lunch it is time to explore remnant Mabi rainforest, rich in endemic flora and fauna. A 1.5km loop walk gives us the opportunity to learn about this ancient rainforest, search the canopy for rare Lumholtz tree kangaroos and try and spot the elusive Duck Billed platypus and Saw Shelled turtles in the wild. At the end of the walk there is the opportunity for a refreshing swim in a pool below a small waterfall. Other places we often visit, depending on time and the group's interests, include the amazing Curtain Fig tree and our secret rainforest Garden of Eden waterfall. As the day draws to a close we have the opportunity to stop for local coffee, purchase fresh tropical produce and continue to look for native wildlife whilst enjoying the beautiful Queensland outback, tropical savanna, rainforest scenery and often a gorgeous sunset. ​Trips depart at 7:30 am and return at approximately 5:30 pm. Group trips depart on Monday, Wednesday and Friday, and are not suitable for children under 10. If you have young children and would like to organise a private Wildlife and Rainforest tour please contact us to discuss an itinerary. A moderate level of fitness is required as there will be several short walks undertaken. Book now using the form on this page or click here to contact us with any further questions you may have. Please note that this is not a Daintree tour. We do not visit the Daintree rainforest, Daintree river, Cape Tribulation beach or Mossman Gorge. Our tours visit several locations no other Port Douglas operators visit. The Daintree rainforest and Mossman Gorge are great destinations but most of the wildlife is nocturnal and hard to find during the day, on our trips we find a variety of wildlife AND get to experience World Heritage rainforest. ​If you are wanting to join a tour departing within in the next 5 days, please contact us directly.